Today many companies face the challenge of matching highly-skilled professionals to high-end positions in large organizations and human deployment agencies. Non-accurate matches in these businesses can result in significant monetary losses and other negative effects. Unlike traditional Workforce Management (WM) problems such as shift scheduling, highly-skilled employees are professionally distinguishable from each other and hence non-interchangeable. Therefore, the techniques used for shift-scheduling can’t be applied to the highly-skilled WM domain. Our work focuses on providing a Constraint Programming solution for supporting the assignment of highly-skilled professionals. Our experience shows that CP is well adapted to this problem. 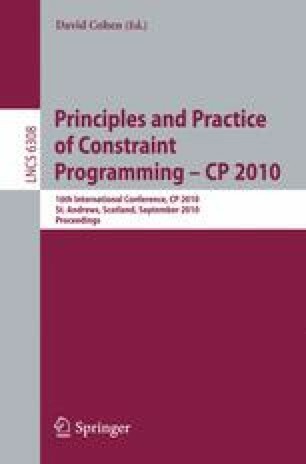 CP supports very well the underlying constraints. In addition, the rich expressive language supported by CP allows us to provide a convenient mechanism for changing and adding new matching and preference constraints. Based on this technology, we have built a tool that is currently being used by IBM service organizations and provides strong business results.